As reports surface that the Coca-Cola company are acquiring Costa Coffee for an eye-watering £3.9 billion. We have acquired some new talent of our own here at Partner Electronics. Investing in the future, we’re delighted to welcome new graduate, Ryan Clark to the team. Today we are getting to know him better with a Q&A. I have just graduated from Electronics and Electrical engineering in Manchester, and really enjoyed the PCB design aspects of my course. Away from engineering I am a big fan of airsoft, gaming and used to play a lot of rugby. 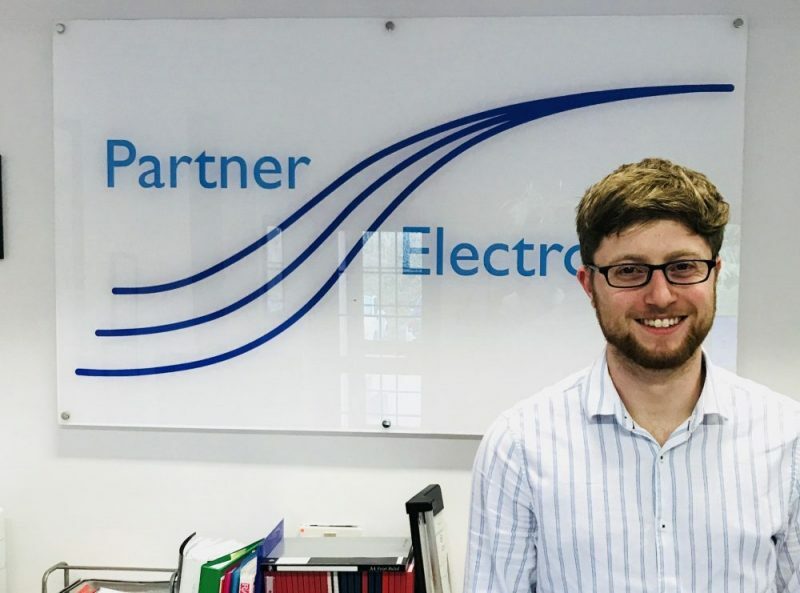 What made you apply for a job at Partner Electronics? As I’ve said I am really interested in PCB design and general electronics. PEL is the ideal place for me to harness this knowledge, using it to solve real problems and develop experience. The fact it is a bespoke design firm with a tight-knit team also really appealed to me. It’s apparent everyone is important to the team here, with each person being given real responsibility. This particularly excites me, as the prospect of handling real projects early in my career is one I relish. What do you hope to learn at PEL? I’ve done a little bit of programming in the past, mainly focussing on C. I’m hoping I will have the opportunity to expand upon this and also gain experience in more complex languages. On top of this, I want to develop more of an expertise in the areas which I enjoyed at University. What have your first impressions of PEL been? Everyone’s been super welcoming and friendly – its been fantastic! I’ve seen how close-knit the team is and I am really looking forward to becoming more involved and getting to know everyone better! From the outside, it appeared like a great place to work, and so far that’s certainly been proven the case! You’re on Dragons’ Den. What are you pitching to the Dragons? So at the moment tattoos are super fashionable right? The thing about fashion though, is that it’s very temperamental. It changes constantly! So in 10-15 years time, there’s going to be a whole lot of people who want to have their tattoos removed. This is possible at the moment but the process is long, painful and expensive. So the product I would pitch to the Dragon’s would be a machine which could quickly and painlessly remove tattoos. I think it would make a fortune. To discover more about our graduate opportunities visit our Careers page and our Gradcracker Hub. Get That Graduate Electronics Job. Life as a Senior Engineer at Partner Electronics.